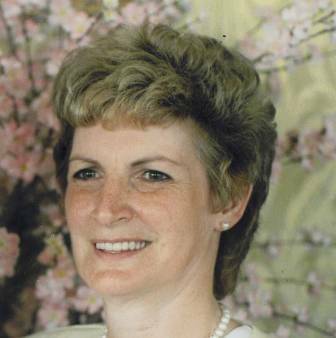 Sharon E. Wilson, age 70, of Washington Street, Salamanca, New York died Tuesday evening, January 8, 2013 at her home following a battle with ovarian cancer. Born on July 15, 1942 in Salamanca, New York she was the daughter of Wilma Hanson Waite , Salamanca, New York. She was married on July 1, 1983 to Mr. Gary Wilson who survives. Mrs. Wilson had been employed in Maintenance at the Salamanca Central High School for 25 years prior to her retirement. After retirement she went back to work as a Toll Booth Operator at the Bradford Entrance to Allegany State Park. She had been a member of the former St. Michael's Lutheran in Little Valley, New York. She was a member of the Sunday night couples bowling league and the Thursday night ladies bowling league. She loved reading, gardening, and traveling. Surviving besides her husband and mother are: 4 sons, Daniel (Kris) McCord, Veronia, OR, Steve (Mary) McCord, Salamanca, New York, Jay (Glenda Hartson) McCord, Steamburg, New York, Paul (Kim Walters) McCord, Salamanca, New York; a daughter, Cindy (Joe Baker) McCord, Ft. Worth, Texas; 2 step sons, Stephen (Gail) Wilson, Cheyenne, Wyoming, Kevin (Kendra) Wilson, Starks, LA; 2 step daughters, Gail (Ernest) Robinson, Bolivar, New York, Susan Wilson, Salamanca, New York; 10 grandchildren; 1 great granddaughter; 3 sisters, Marcia (Monte) Van Buren, Washington Street, Salamanca, New York , Sue (Jim) Scharf, Hancock Street, Salamanca, New York, Betsey Waite, Ward Street, Salamanca, New York;; several nieces and nephews. She was predeceased by a brother, Wayne "Sonny" Waite. Friends may call at the O'Rourke & O'Rourke Inc. Funeral Home, 25 River Street, Salamanca, New York on Thursday from 5-8 P.M.
Funeral services will be held in the United Congregational Methodist Church on Friday morning at 11 A.M. with Pastor Joshua Schallert officiating. Burial will be in Crawford Cemetery, Salamanca, New York. The family suggests memorials to Ovarian Cancer Research, 14 Pennsylvania Plaza, Suite 1710, New York, New York 10122.